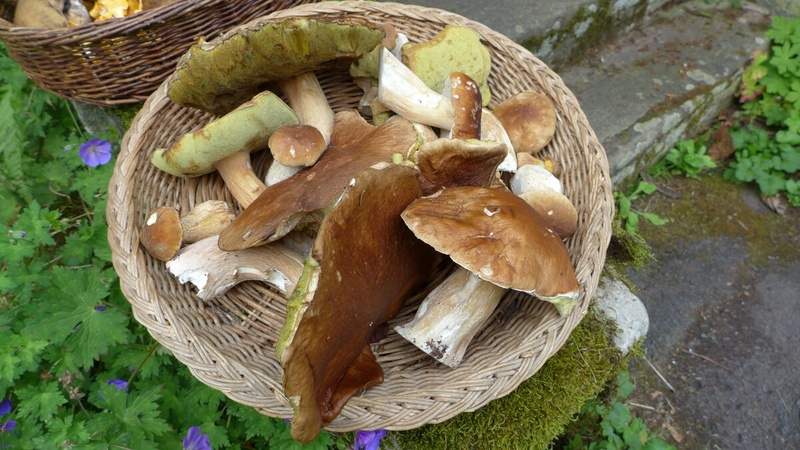 Since this year everything is a bit early in nature, we decided to give hunting mushrooms a try on the last weekend in July. We went to my hometown in the middle of Germany for the weekend and my parents organized a get together with some of their friends who own a beautiful ancient forest lodge from the late 1800s in the middle of a remote forest. 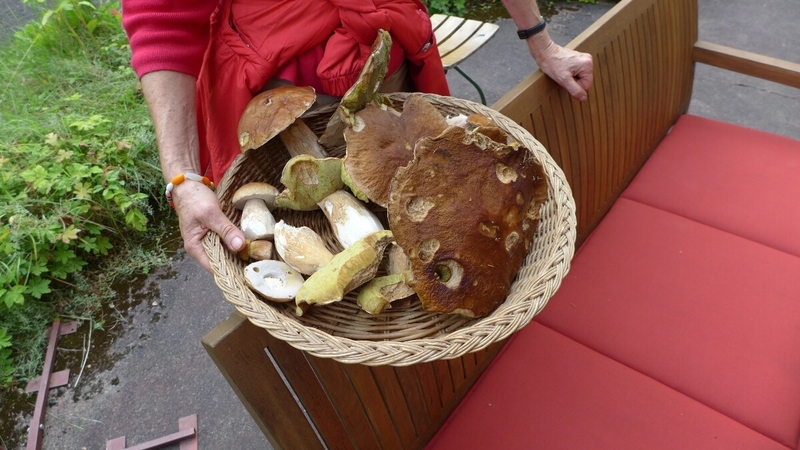 So we could start looking for mushrooms right off the front porch and it did not take 15 minutes before we found the first porcini waiting for us. 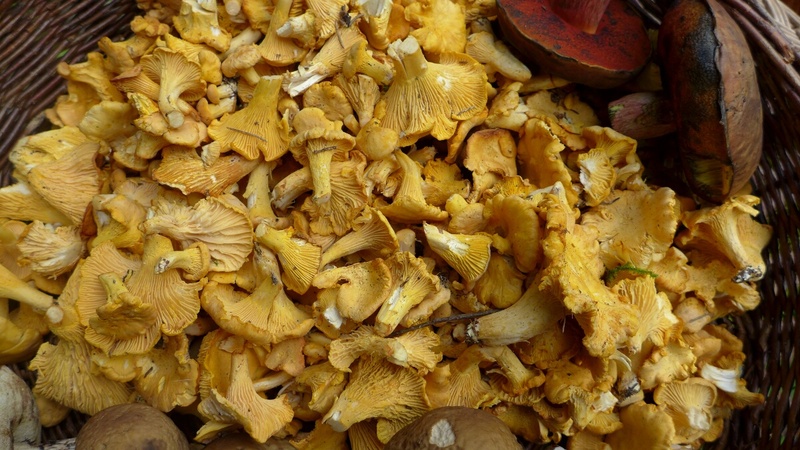 From there on, we found alternating patches of chanterelles, some of them still needed a couple of days and were too tiny. 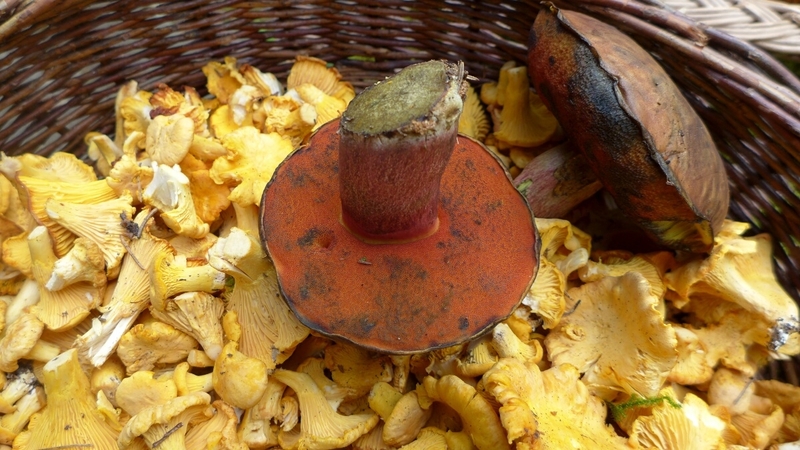 At the end of the two hour walk, we stumbled upon a patch of birch bolete and the most beautiful mushrooms of the day: two scarletina bolete with bright red stem and sponge waited for us on the path. 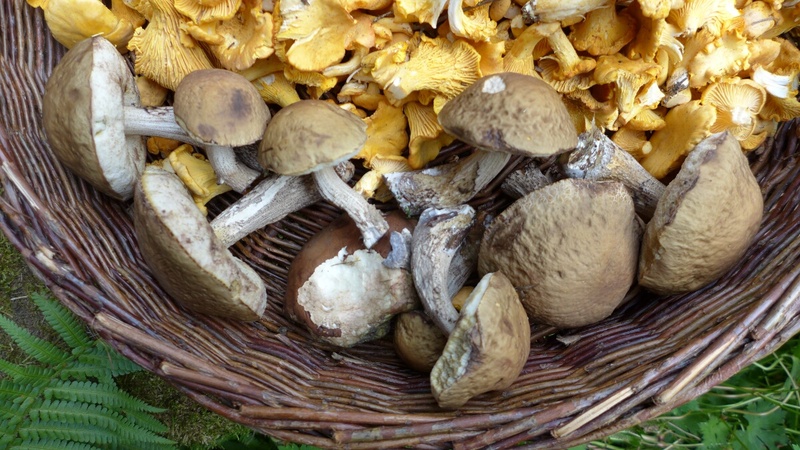 They are not edible raw, but delicious when cooked. It is also pretty awesome that when you cut the stem, they turn dark blue right away. We prepared the porcini right away with onions and cream and had pasta with it. 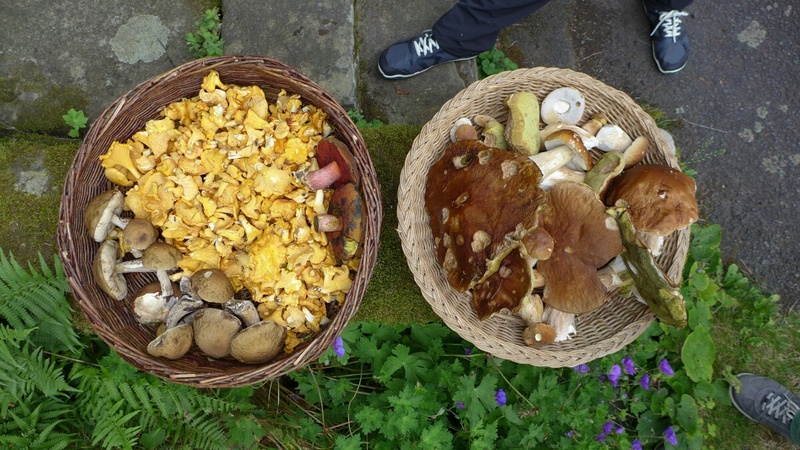 The birch bolete ended up in an omelet the next morning while the chanterelles made a delicious side dish for lunch with a cut onion and heaps of parsley.